Marlie specialises in commissions for individuals and organisations. 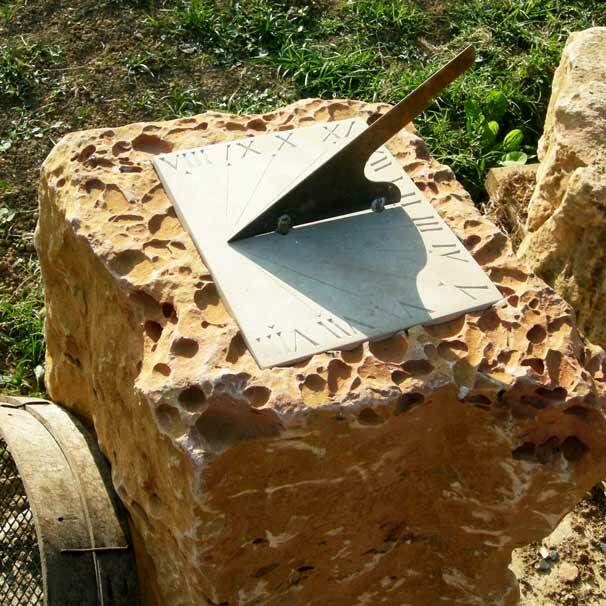 A bespoke, unique stone carving can be created for your own house or garden, to suit a specific space or ambiance, such as a relief carving embedded into a wall, a sculpted fountain producing the deeply pleasing sound of water against stone, a sun dial or a decorative bird bath to create a focal point in your garden. Discussion and contact are fundamental during the commissioning process. At the start of each project, the most appropriate design and technical approach is identified to best fulfill the client's wishes. After this first meeting or conversation, Marlie produces either maquettes, plans or drawings, depending on the project, which are subsequently edited and adapted for acceptance. The installation location is discussed with the client, together with a realistic time-frame and budget. Throughout the creation process, the client is welcome to visit the workshop in Rabastens, or photos can be provided to follow the project's development. Marlie's online shop offers a selection of smaller objects and unique pieces. 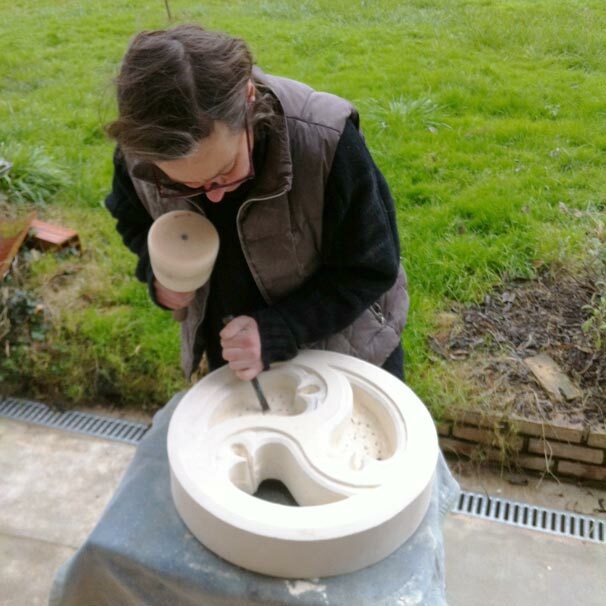 Please contact Marlie if you wish to commission a bespoke carving, from a simple house sign or company logo, to a larger piece such as a sun dial or fountain. Take a look at the gallery for inspiration! 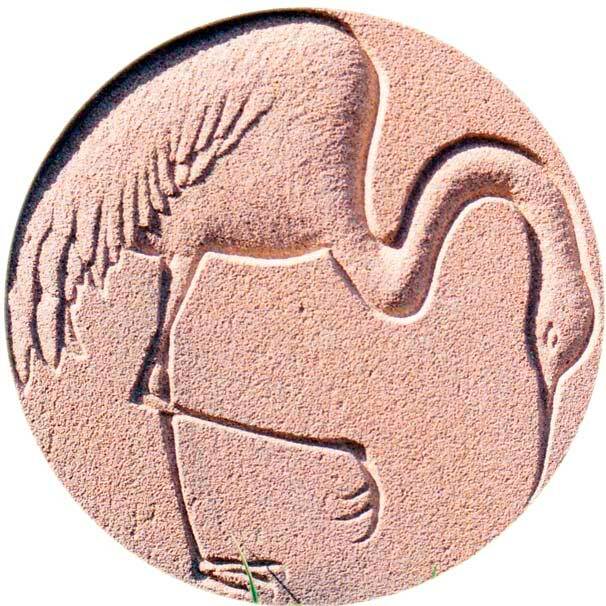 Gift idea - GIFT VOUCHER for a stone carving workshop. Personal memorials can be commissioned to commemorate a loved one - a hand carved fountain, vase or cross, tombstone or plaque. Marlie also produces memorials compliant to specifications for public cemeteries, often integrating less conventional elements inspired by the deceased person's individual situation to create very personal tributes. 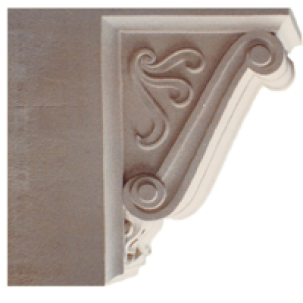 Marlie also restores architectural elements, or can integrate new decorative stone elements into your home or garden, such as sculptures, ornamental fireplaces, lintels for doors and windows or carved keystones and house signs. 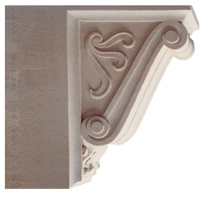 Marlie would be delighted to discuss your architectural stone projects.